Voters there have elected the first openly lesbian African-American state legislator in the United States, and Atlanta voters elected the first gay man and first Asian-American to the city council. Simone Bell, a Victory Fund-endorsed candidate, won a runoff election to represent Georgia State House District 58. 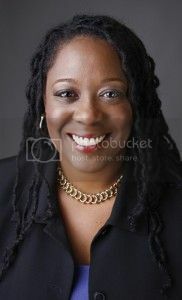 She becomes the second openly LGBT member of the Georgia State House, joining Rep. Karla Drenner. Both are from the Atlanta area. I am committed to fighting for and supporting legislation and policies that reflect the voice of the people. I'm prepared to work on the state level to build a more progressive Georgia that will thrive and flourish and look forward to your support. “This is a tremendous victory for LGBT Georgians. Simone is a longtime leader in her community, and she will be a huge asset in the Georgia State House,” said Chuck Wolfe, president and CEO of the Gay & Lesbian Victory Fund. Meanwhile Atlanta voters elected the city’s first gay man, and first Asian-American, to the city council. 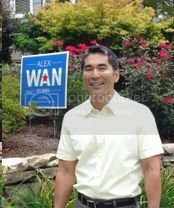 Alex Wan, a Victory Fund-endorsed candidate, will represent District 6 after winning his runoff election tonight. He currently works as the development director of Jerusalem House, Atlanta’s oldest and largest provider of permanent, supportive housing for homeless or low-income individuals and families living with HIV/AIDS. With results from the December 1 run-off election tallied, I am pleased to tell you that – with your help – we won the Atlanta City Council District 6 seat. Preliminary results show that we garnered 59% of the vote. I am both humbled and honored that my friends and neighbors in District 6 have given me their vote of confidence, and I look forward to serving as your voice in city government. It is especially heartening that such a diverse cross-section of people and organizations came together to give our campaign the kind of strength we needed to win. Blender Gareth in SC passed along a link to Project Q Atlanta's liveblog coverage of last night's election, which reported these big wins in real time. Check it out.